← Can Low Performing Public Schools Be Fixed? 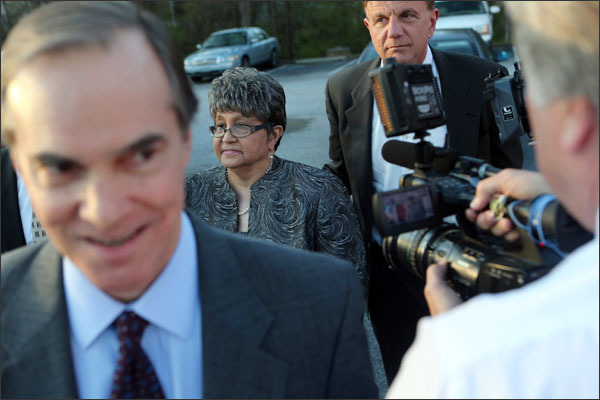 Caring educators and parents across the nation were shocked and dismayed at the recent indictments of teachers, principals and Atlanta Public Schools Superintendent, Beverly Hall in an alleged cheating scandal that seemed to permeate the district’s schools. According to the indictment, Ms. Hall “placed unreasonable emphasis on achieving [student performance] targets; protected and awarded those who achieved targets through cheating; terminated principals who failed to achieve targets; and ignored suspicious [state standardized-test] score gains at schools” with the district. The Atlanta Journal Constitution originally broke the story back in 2008. At that time the school district vehemently denied the charges, but earlier this month, Ms. Hall and 34 other educators turned themselves into county jail. An internal inquiry by the school district confirmed a “culture of wrongdoings” at D.H. Stanton Elementary School in Atlanta: Attendance records were falsified. Disciplinary files were doctored. Friends of the principal got paid for tutoring they never performed. And the principal covered up reports that staff members had physically abused students. According to the Atlanta Journal Constitution, special investigators appointed by the state to dig into widespread cheating on standardized tests in the Atlanta Public Schools never saw that report. And now there are allegations of similar cheating in other school districts around the nation including disturbing reports that education reformer, Michelle Rhee ignored allegations of similar cheating during her tenure as superintendent of the Washington, DC Public Schools. So what can we in Washington State learn from all this? Is the pressure to show improvement on high stakes tests so great that students’ needs – the whole center and purpose of education—are swept aside so that adults can keep their jobs? Is greed so important to certain educators that they will sacrifice their own values to make performance bonuses? Does systemic corruption lead to an environment where abuse and outright theft are tolerated? Washington educators we spoke with abhorred the notion of cheating on test scores. They denied knowing of any of cheating going on in Washington schools. But without real transparency and accountability, how can we be sure that this is true in all 295 of our school districts? Whether or not you like standardized testing – and there are a lot of folks who don’t— public schools will continue to administer tests. So what should you do as a parent if you suspect that cheating is taking place in your child’s school? Contact us at connect@theparentsunion.org and let’s dig into it. Because we can’t let what happened to Justina Collins’ daughter happen to a single child in Washington. This entry was posted in Education, Events, Schools, Teachers. Bookmark the permalink. 1 Response to Atlanta School Cheating Scandal – Could it Happen Here? Reblogged this on Parents of Blaine County Students. Summer Learning – Are We Failing Our Kids? A Parent Welcome Center at School? A Great Idea Becomes Reality.